I will be venturing to the dark side of the moon on Saturday 12th September 2015 at SQL Saturday in Cambridge, UK ( see http://www.sqlsaturday.com/411/EventHome.aspx ). 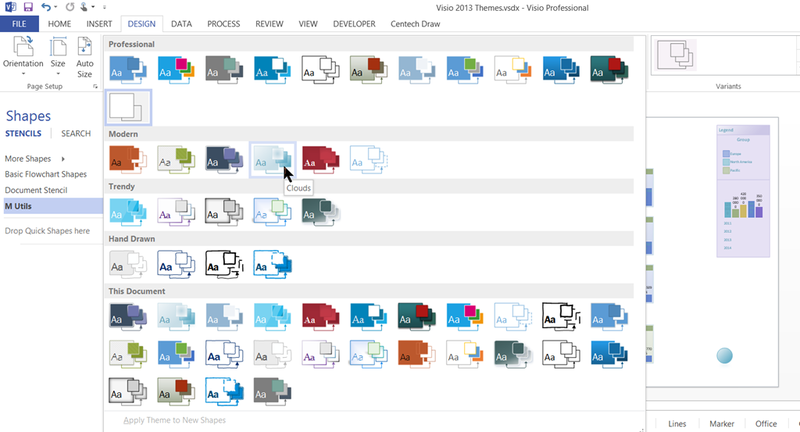 Visio supports Microsoft Office themes with their variants, and I have been experimenting with their affect on data graphics, so I thought I would create a document with examples of each theme applied to some data graphics. I would hesitate before using some of these, but it is interesting to see the appearance of each. 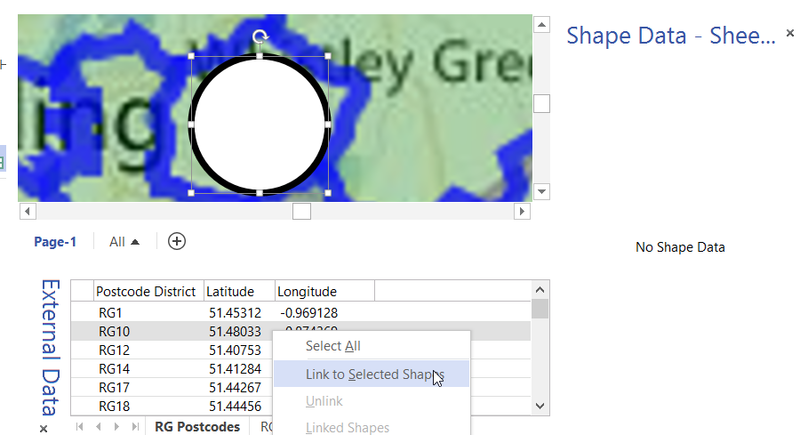 In my last article, I described how to calibrate a map in Visio ( see https://blog.bvisual.net/2015/05/26/calibrating-a-map-in-visio/ ), and in this article I use a calibrated map to distribute data points from a linked data source automatically. For this example, I drew a simple shape at the size that I want, but you could add this smartness to any shape. All you need is an external data recordset that contains the Latitude and Longitude values that need to be linked to each data point. Many years ago, I wrote a blog article about calibrating a map in Visio ( see https://blog.bvisual.net/2008/09/30/moving-between-visio-and-kml/ ), but I used VBA and a shape from my friend Chris Roth / VisGuy. Well, I have now worked out how to calibrate a map without code! My fellow MVP for Visio, and author, and friend, Scott Helmers, has recently presented a series of videos entitled “Becoming a Visio 2013 Power User”. Scott is a natural presenter, and he does a great job in getting the fundamentals across. Visio Professional has the ability to link to various data sources, and one of the most popular is SQL Server. The DATA\Link Data to Shapes … function will present a UI to choose from a table or view, but does not provide any stored procedures. Therefore, this article present a VBA macro that demonstrates how a stored procedure can be added as a refreshable data recordset in Visio.